Here at Pitman Training Dublin we offer a range of corporate training solutions that allow you to maximise the full potential of your staff in addition to increasing staff loyalty and motivation. All training options are accredited by the Continued Professional Development (CPD) Standards Office so your staff can gain points for their certified records. Not only does this allow you to meet your obligations as a forward thinking employer, but this is also key for better business performance. 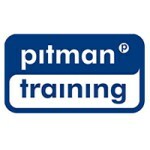 Pitman Training in Dublin will work with each business and your employees to cater for every individual requirement, whether that is training at our professional training centres, onsite at your premises or a blended online solution for flexible study. Get in touch now to find out which training program suits you.